1, find an end the use of the empty bottles of nasal spray, can twist open the opening. Clean with hot water can be used after. Going to buy a few bottles of 500 ml of 0.9% sodium chloride injection ( saline). Put the bottle of saline water heating cup for heating, heating to hand feel hot but not hot degree, and then add the superheated saline poured into a spray bottle, screw directly into the nose spray can. One day spraying four or five times, each time 2-3 spray can, of course, the more the use effect is better. Each use of each heating. If time is very tight, then sooner or later the first or only once, but have to spray. Note that this method can only be cleaned to the nasal vestibule, and under the nose of the front, inaccessible sinus and, in three, under the nose, all parts of the body. It is basically suitable for all types of rhinitis, can improve the symptoms of rhinitis, there are some allergic rhinitis, may receive more satisfactory results, but the overall effect to some of the weak. 2, you can also find a small teapot, preferably Huzui some small openings, the spout is straight and not bend. You can use it to the super heated brine, kettle mouth nose directly plugging in the nose, head slightly askew, and then poured. Water is generally from one of the other nostril flow out, some flow into my mouth, spit it out on the line. Need to pay attention to the people should be anti-stuffy nose, stuffy nose block water flow into the ear, easy, easy to swell to ache. The saline nasal wash method is basically can reach all of the nasal passage ( premise of the nose is not blocked ), but inaccessible sinus. This market seems to have a similar nose for washing tool, may wish to buy a used. 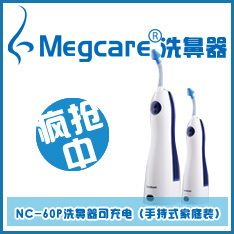 3, the relatively high number of special tools, abroad is divided into three categories, one category is introduced above the Neti Pot, on the water 's own power flow, is a hand pressure, hand pressure with certain pressure, these are the original nose washing apparatus. 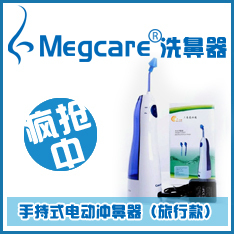 There is a kind of advanced some is an electric nose washing apparatus, pressure than other big, so the effect is better. Electric and divided into two categories. 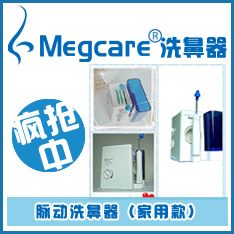 One is an arterial water column type, his method in 2 similar, different is his water column pressure and frequency, good cleaning effect and can play a role of massage, because pressure so that we can get the paranasal sinuses. 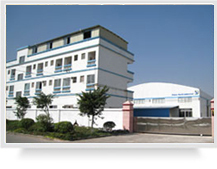 But because of the water column, a large quantity of water, nasal obstruction should be used with caution. 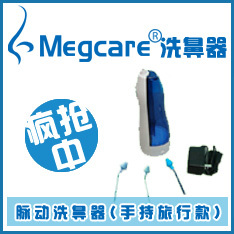 The other is an electric pressure spray type nose washing apparatus, using them more comfortable, because the mist of pressure, can reach all of nasal and paranasal sinuses, nasal obstruction can also use his, because the water is very small, although sometimes also swells, but not very bad, can not enter the ear.